Where is the NK Forster guitars price list? Ordering an instrument goes like this – have an idea of what you’d like – a Model C-SS? A 10 string guitar bouzouki? 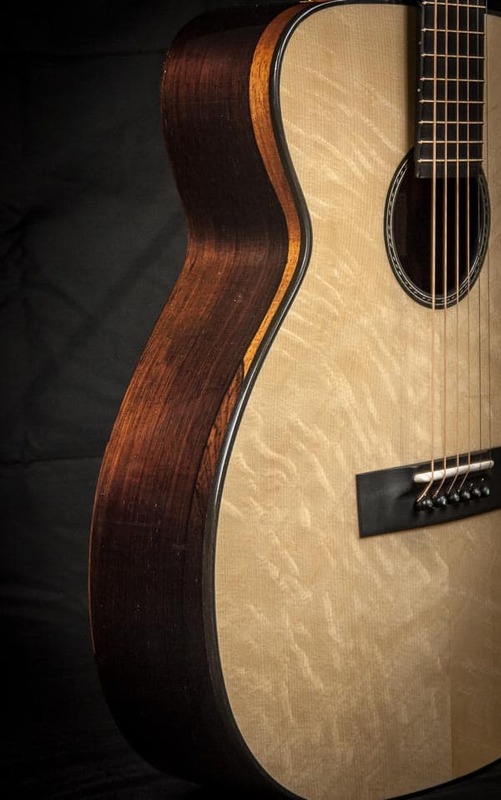 A spruce and rosewood Session King Advanced? Please use the contact page and ask for a price list. You must tell me your country so I can send the appropriate price list. If the prices fit we can discuss the instrument you’d like to commission. I send you the warranty to look through. When you’ve decided, you send a non-refundable deposit. This fixes your price, protects you from future price rises or currency fluctuations, gets you your “build slot” and approximate delivery time. Then I make your instrument. When I am satisfied that the instrument is ready I will contact you. You send the balance due and the instrument is sent to you, or if you prefer, you can come and collect in person. Overseas clients will be asked to pay with an online service called www.transferwise.com it’s reliable, safe and much cheaper than using regular bank transfers for both sides. US$, Euro and UK £ customers can pay by direct bank transfer. This is how I’ve always worked in the past and there’s never been a problem, but if for some reason you’re not happy with your instrument, we can see what the issue is, and sort it out. I managed to keep the list between 8-12 months for years but these days it just isn’t possible. From the time you place your order expect an 18 – 24 month wait. Sometimes it’s more. I try my best to get things done on time. Most of what I make is still to commission but one or two instruments a year will be available through dealers in the UK, USA and Japan and through the newsletter – If anything comes up – a new model, a used instrument, or an ex-demo one, the newsletter subscribers find out first. In 2015, three instruments came up on the newsletter, in 2016 there were four including one that was being sold by a USA dealer. So if you are seriously interested in commissioning my work, please get in touch via the contact page.